The people we trust the most are the ones we know – the people we’ve been through some of life’s twists and turns with – most often in our personal lives but also in our professional ones. These are the people we connect with and turn to when we need help. We see this everyday on LinkedIn. A diverse community of people who come together to help each other out. Where a connection, by chance or design, enables the next career step or helps create an opportunity for another. It is not really surprising to see more people than ever finding their next role through their connections. This is the community they have gathered for themselves on LinkedIn, that reflect their working life. And more often than not, they are out to help each other in any way they can. Starting today in the UK, and then rolling out in France, Germany, Sweden, Spain, Italy, UAE, Brazil and the Netherlands over the next few weeks and months we’ll be celebrating these stories with our In It Together campaign. We’ve spent the past few months capturing stories of members who have leaned on the LinkedIn community to support them in their professional journeys. There is a tremendous community on LinkedIn who represent the breadth and depth of the global workforce, and we wanted to showcase how they help themselves and each other to find new jobs and transform themselves. Deepshikha worked in a laboratory based in London. She loved the science of what she did – but not the lack of contact with people on a daily basis. She tapped into her LinkedIn connections to get her profile on the radar of her professional community outside of her lab. Now working as a recruiter, she talks to candidates every day, and has found her new work much more fulfilling. Ryan worked as a teacher. He cares passionately about improving children’s education and their access to opportunity. He saw technology as an excellent way to deliver exciting, engaging and interesting lessons. Ryan used LinkedIn to follow a technology and education company that he aspired to work for. With a little prompting from his wife - one day he messaged them on LinkedIn and the rest is history. He is now working as an Education Specialist, delivering training and supporting a wide community of schools and teachers to work more effectively. 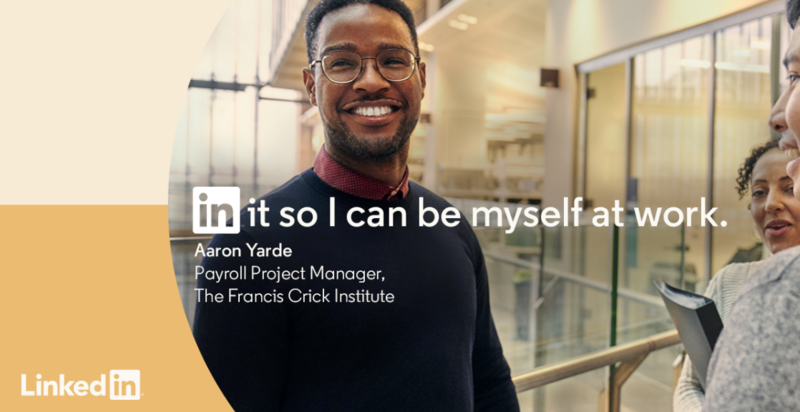 Aaron’s top priority when searching for his next job was finding a role where he not only enjoyed the work he was doing every day, but also felt comfortable in his own skin. When studying to become a HR and Payroll manager - it soon became obvious to him that he felt most at ease when helping others. So when searching for jobs on LinkedIn, Aaron jumped at the chance to work for a company that helps those living with complex diseases and genetic disorders. 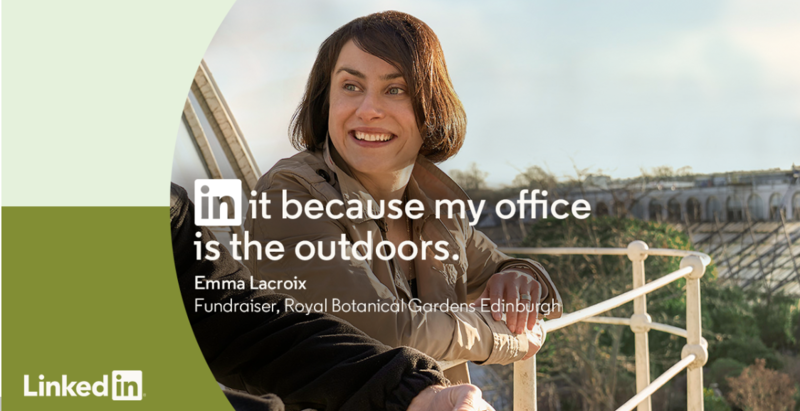 Emma’s decision to move away from an in-house job was sparked by seeing what is now her role at the Royal Botanical Gardens, advertised on LinkedIn. Using LinkedIn to research the company and it’s network of partners, fundraisers and employees - she aced the interview and now works at one of the world’s most beautiful botanical gardens. Marine wanted to return to work after maternity leave, but knew she needed to go out and find the right job – a daunting prospect, especially in the PR world where people move on quickly. She’d created a network of journalists amongst her connections, who were friends she met with often. One of them in the South of France sent her a screenshot of a job she felt was perfect for her. One application later, and she feels incredibly rewarded by what she does. Sometimes people think LinkedIn only serves certain industries, but this is rarely true - Marwane is a talented 3D animator having started when he was 7 years old. He loved his job, but always wanted to share some of the passion and experience he had acquired. A recruiter found him on LinkedIn and thought he’d have what it takes to lecture. He now brings his passion for animation to the next generation. In Germany, we spoke to young professionals about how they are tapping into the power of the LinkedIn community to help in their job search. These members are real people who found their ideal jobs with the help of others on LinkedIn. Whatever job you’re looking for, there’s a community of people on LinkedIn who want to help. Have a look at Linkedin.com/jobs to get started. We would love to continue the conversation. Share what you’re in it for, and tag someone who has helped you along the way with the hashtag #InItTogether. I’m in it to expand my horizons. Whatever you’re in it for, we’re in it together.